Well this one shouldn’t be a surprise. Today we’re going to be covering one of the most underrated positions in the sport. The center is one of just two players who touch the ball on every snap and usually acts as the captain of the offensive line. It’s because of this importance I saved this position for last among the offensive players. If you haven’t been keeping up with BGN, please check out the archives below to see how other positions have stacked up. Jason Kelce is the best center in the NFL. I know it. You know it. The Eagles know it. The Associated Press knows it. Pro Football Focus knows it. Pro-Football-Reference knows it. Who doesn’t you ask? The Pro Bowl voters. They’re dumb and wrong. Kelce was yet again an animal in both pass blocking and run blocking. His “off the field intangibles” are also of note. Kelce will play at least one more year in front of the best fans in the world and I couldn’t be happier about it. So here’s the thing. As a guy who fancies himself to be a good-hearted person, it’s great to hear that Frederick is feeling better and reportedly set to return to the Cowboys for the 2019 season. As a lifelong Eagles fan, however, it isn’t the worst thing to have Dallas missing an All-Pro for 16 games. There is no denying that when he is healthy, the 28-year-old Frederick is one of the best in the business and it’ll be good to see him back in action in the coming season. Key Stat: RBs gained 3.5 yards per snap when running off Roullier in 2018. Roullier was the only offensive lineman to play every snap for the Washington Football Team in 2018, which is a pretty impressive feat in it’s own right. He played at all three interior positions and looked to be pretty solid in pass blocking scenarios. At just 25 years old, the Redskins might have found themselves a solid player in the 6th round. They don’t get much right so enjoy it while it lasts, Washington fans. Halapio played just 116 snaps last year, but for what it’s worth, graded out very well as a pass blocker. It appears Halapio will be given the chance to start again after missing most of 2018 with a broken leg and ankle, but with the recent resigning of Spencer Pulley he will have to play well to keep his spot. All in all, the NFC East has a pretty loaded group of centers when compared to some of the other divisions in the NFL. 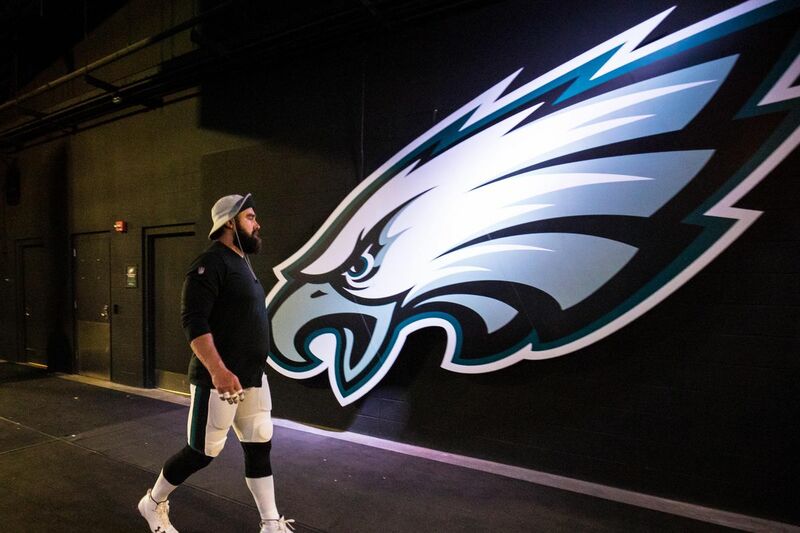 While there is some uncertainty as to who will play at the position next year for the Cowboys and Giants, it’s nice to know that us Eagles fans can sleep well at night knowing Jason Kelce will do his best on every play in 2019. Thanks to Pro Football Focus for all statistics involved in this article. Stay tuned to BGN as the series covers it’s first defensive position with the Safeties of the NFC East. Donovan McNabb is already talking about the Eagles potentially needing to replace Carson Wentz No. 5 continues to be skeptical about No. 11. Eagles land “the biggest steal” in the SB Nation’s writer mock draft A dream come true ... in a fictional setting. The Linc - Jordan Howard was the second best red zone RB in 2018 Philadelphia Eagles news and links for 4/20/19. Mock Draft Roundup: Marquise Brown is the most popular Eagles pick ahead of Thursday’s big night Who will the Birds take?